This basement is cluttered; boxes, bags, shadows, secrets. A doll’s head peeks out from an overstuffed shelf. Somewhere in New Zealand, a woman (performed by Stella Reid) is taking stock of her dead grandmother’s belongings. 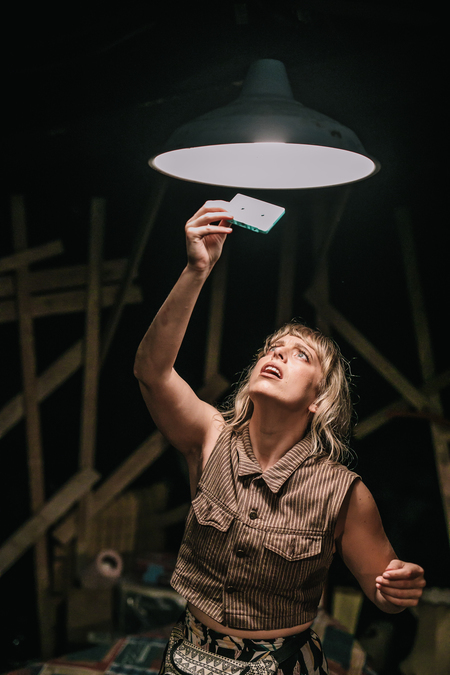 Tucked underground, in the belly of Summerhall, The Basement Tapes’ audience sit close enough to touch the messy piles of old clothes, books and… wait? A tape player? As Reid digs for memories in the dust, she begins to uncover a disturbing family secret, long buried deep. The consequences are gradually felt, teased out as if using a pencil to work through the tangles in a cassette’s ribbon. Directed by Jane Yonge, high-kicking dance sequences and Reid’s witty, compelling monologues bring levity to a show that builds the perfect conditions for paranoia to fester. 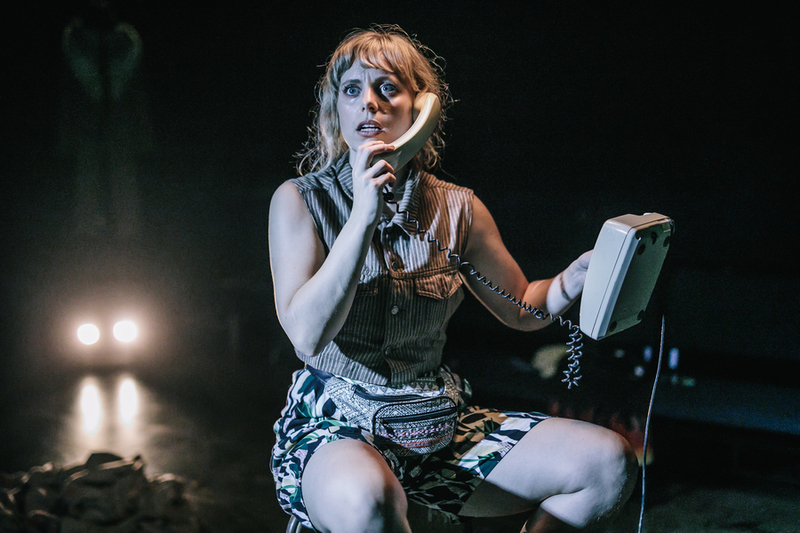 Reid has a firm hand on the ebb and flow of fear, and increasingly panicked phone calls to her mum on a barely functioning landline (no 4G down here, remember) spark delicious shivers of horror. When her grandmother’s voice crackles into life, the air is thick with tension: a hat rack, dressed in an old fur coat, is suddenly a menacing presence. Static builds, rattling and roaring. Thomas Lambert’s sound design adds almost imperceptible layers to the haunting – or, layers you don’t notice until it’s far too late. The lighting is subtle – until a fuse has blown, and you’re alone in the dark with a disembodied voice asking more questions than anyone could answer. As the line between reality, memory and… something else… becomes blurrier, you’ll be grateful if you’re sat with your back against the wall.